Telangana’s new industrial policy, unveiled by Chief Minister K Chandrasekhar Rao on Friday, states that government officials will now be held liable for penal action if they delay clearing investment proposals beyond the stipulated number of days. Officials will have to pay a penalty of Rs 1,000 per day of delay in clearance. 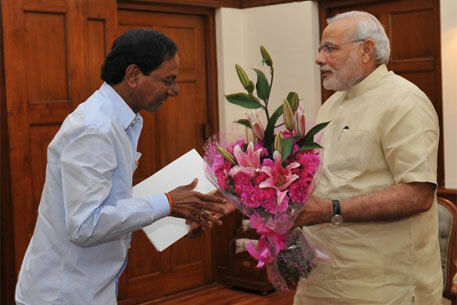 According to the Telangana Industrial Project Approval and Self-Certification System (TS-iPASS), passed in November 2014, approvals for mega projects with an investment of over Rs 200 crore will have to be cleared in 15 days while other projects are to be approved in 30 days from the date of application. “Now departments like Pollution Control Board, Directorate of Town and Country Planning and certain others take unnecessarily long to clear a project. We want that to stop. In case of gaps in information furnished by the applicant, the officials need to raise it within three days from the date of application. If the project is rejected, the reasons for the same have to be stated in detail and within the said time frame,” says Ranjan. The “right” has been formulated because industrialists should not feel like supplicants, says the commissioner. “The industrialist is doing us a favour by investing in the state and we don’t want to make him feel like supplicant waiting endlessly for the clearance. We are trying to cultivate an ease in doing business in the state and want to eliminate the unnecessary inspection and paperwork,” he adds. Sarma adds that “over-exuberance on the part of politicians and civil servants to clear projects at any cost, without understanding the risks, arises from a crony capitalist mindset that seems to pervade governance both at the Centre and in the states”.